At Tender Years Child Development Centers, we understand that choosing a daycare & early education center for your child is one of the most important decisions that you will have to make as a parent. The right program can properly prepare them for success in both school and life. It’s a decision that can truly have a lasting impact. As a local, family-owned corporation, we know completely the needs of the families in Central Pennsylvania. And as a mother and grandmother, I can tell you that we pride ourselves on our family-like environment. It’s our top priority to make sure that the families and staff here at Tender Years feel like they’re part of our family. We offer Pennsylvania DHS-licensed programs (with both full- and part-time options) for Infants, Young Toddlers, Older Toddlers, Preschool, Pre-Kindergarten, Kindergarten, Before & After School Care, and even Summer Camp! Whether you’re looking for full time child care, part time preschool, or a smaller class size for your Kindergartner, Tender Years is here for you and your child. As you review this website, please don’t hesitate to call us with your questions. I also invite you to tour our centers so you can see firsthand how we operate. I think you’re going to love what you see! Thanks for considering Tender Years. We look forward to meeting you and your child! Tender Years, Inc. is an Early Childhood Development Center that is licensed by the PA Department of Human Services (DHS), accredited by the Department of Education, and a participant in the Keystone STARS Quality Initiative Program. 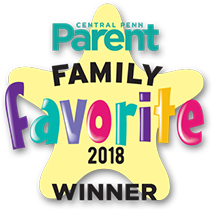 We are a family owned and operated corporation that has been serving Central Pennsylvania families for 35 years, with locations in Camp Hill, Hershey, and Mechanicsburg, PA.
Why Choose Tender Years For Your Child’s Care & Development? • Children are separated into age and developmentally appropriate classrooms. For example: we offer 3 separate nurseries, and 4 separate toddler classrooms. • Tender Years Academy programs include licensed and accredited Preschool, Pre-Kindergarten, K-Readiness, and Kindergarten – all taught by passionate, certified teachers. • Full day and half day (a.m. or p.m.) programs available. 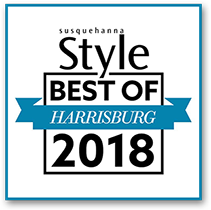 • Licensed and accredited full day Kindergarten in Camp Hill and half day Kindergarten in Hershey (with after school option). Both with a small class size of 15 students and taught by a certified teacher. • ACE Customized Curriculum based on State Standards, local school district curricula, and individual classroom & student needs for all of our programs – infants through school age. • Extracurricular activities such as dance, soccer, music, and foreign language are offered on site. • All lead teachers in the nursery and toddler programs have a CDA credential, Associates degree (or higher) in education. • Each center is custom-designed to provide an educational and home-like atmosphere. • Each center features state-of-the-art playgrounds appropriate for individual age groups. • A nutritious breakfast is provided daily. • Children enjoy a catered hot lunch program. • Each center is professionally cleaned on a daily basis. • Our Perfect-Match Pledge provides peace of mind with a 30-day money-back guarantee. 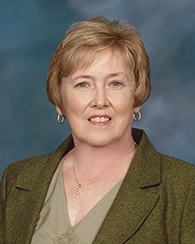 Betty L. Krebs, Founder of Tender Years, Inc., has and always will be passionate about providing Central Pennsylvania with the best early childhood programs! As a working mother of two children who are nine years apart, she was lucky to have a neighbor watch her oldest child. But after becoming a mom again a decade later, she found that things had changed drastically! She realized how difficult it was to find quality child care, and that more and more mothers were entering the work force. Always a go-getter, Mrs. Krebs decided to take matters into her own hands. She decided to take her daughter to work with her! And help provide a quality early childhood program for other working mothers like her at the same time! She used her business background and her motherly instincts to guide her every step of the way! Betty gave birth to her third baby, Tender Years, Inc. in 1984, at Chapel Hill United Church of Christ in Camp Hill, Pennsylvania. After two successful years at Chapel Hill, the facility relocated to the Rite Aid Capital Corporate Center in Camp Hill. While at the Rite Aid Headquarters, a Department of Education, Certified Kindergarten Program was implemented. Tender Years, Inc. remained in the Rite Aid Corporate Center, until relocating across the street to the current location at 203 House Avenue in Camp Hill. 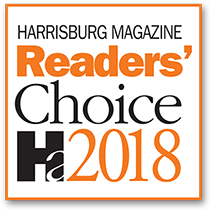 As Tender Years, Inc. continued to grow and thrive, Hershey Foods Corporation contacted Mrs. Krebs in hopes of opening a corporate child care center for their employees. In 1985, two centers opened in Hershey, Pennsylvania. One center was located in a house across from the chocolate factory, and another in the Church of the Redeemer on Chocolate Avenue. These centers remained in operation until July of 1993, when Mrs. Krebs unveiled her new Hershey center and the current location at 50 East Chocolate Avenue. 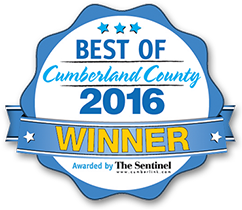 In 2013, a third center was born in Mechanicsburg, in an award-winning village-style development called Walden. Designed and built from the ground up, this state-of-the-art center features large bright classrooms, large play areas, and even a 5-story indoor tree house! Each of Mrs. Krebs’ child development centers are licensed and regulated by the Pennsylvania Department of Human Services. 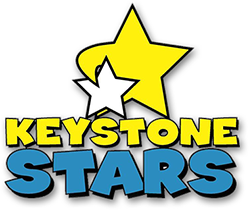 In addition, all centers are licensed by the Pennsylvania Department of Education, and are participants of the Pennsylvania Keystone Stars Program. Most importantly, however, they are nurtured and run with tender loving care by Mrs. Krebs and her family. At Tender Years, Inc. Child Development Centers, we believe that children learn from experiences with people of all ages, races, religious beliefs and physical abilities. We challenge children with opportunities for creative thinking and self-directed activities. Our curriculum encompasses each child’s physical, social, emotional, cognitive and creative development. Children are stronger and happier if their growth and development take place with a balance of structured and developmentally appropriate choices. At Tender Years, the process of interaction and well-defined boundaries and routines, result in learning. Ultimately, the opportunities and structure provided at our centers will help foster positive self-concepts in our children. A child who can like and trust him/herself can reach out to others and can face new and challenging situations with assurance of success throughout life.